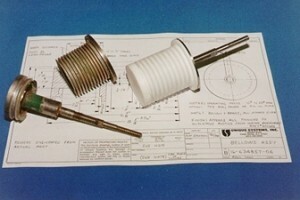 microfilm & original mechanical drawings for all former Elliott® vacuum equipment. 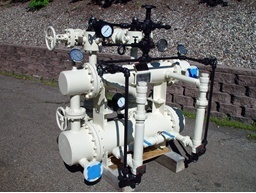 There is no longer a need to pay $15,000.00 – $20,000.00 for a part that should cost only $5,000.00, nor be advised of a 12-24 week delivery when your equipment is down. 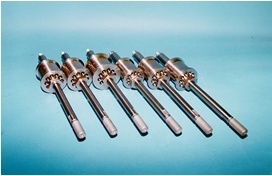 Supply Unique Systems with a new or used part and we will reverse-engineer it. 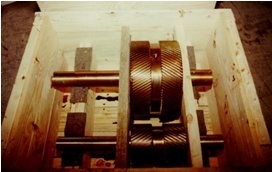 Based upon like conditions of sale and manufacturing by the OEM, Unique Systems will guarantee a 50% savings in cost and delivery. On the pages that follow we offer a small sampling of this art. 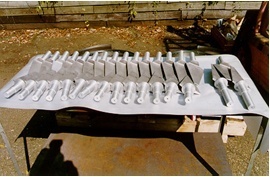 We have attempted to illustrate this in a pictorial layout, beginning with various parts arriving for reverse-engineering to that of a completed part or assembly. 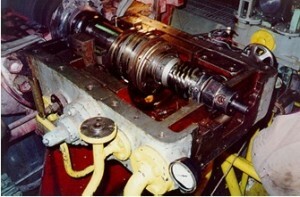 Not shown is a thirteen (13) stage Elliott Supercharger with all the stator assemblies, having both fixed and variable guide vanes, or the rotor assembly for a nine (9) stage, 3885 HP, 38M9 Elliott Compressor with all the shaft & impeller seals, babbitted journal & thrust bearings. CAN DUPLICATE IT FOR YOU! 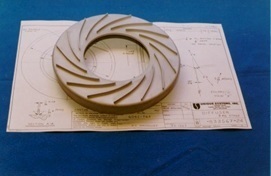 Unique Systems received an order to reverse-engineer and manufacture (19) new shaft & impeller labyrinth seals for an 38M Elliott compressor. 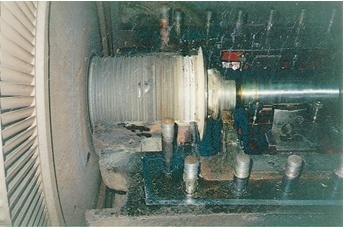 Only the “lightning” fast reaction by the operator on duty on this Elliott turbine generator averted a possible disaster when the Elliott mechanical governor failed and caused the flyweights to jam, cracked the governor casing, sheared the governor spindle and universal housing, deformed the worm wheel and bent the rotor shaft .012″ on the governor end. 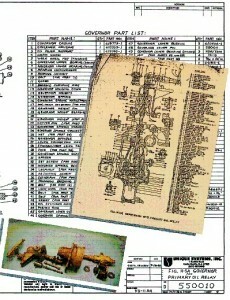 The end-user awarded this major overhaul to Unique Systems, knowing we had few detail drawings. 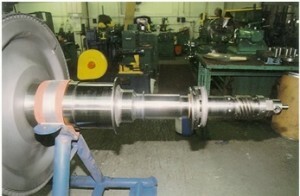 Bent shaft was eliminated by reducing shaft diameters .012″ on the governor-end, re-engineer and supply new parts to this revised condition, except for the “worm diameter” which is nickel-plated and re-ground to accept a standard worm. 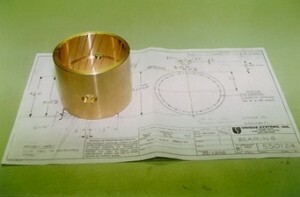 Journal diameters were ground to remove .010″ deep scoring and existing bearings were re-worked accordingly. 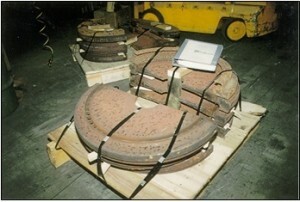 Seventeen buckets on wheel No. 3 were replaced and a new shroud installed. 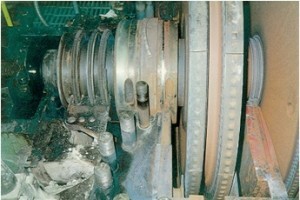 All the buckets/blades had minor erosion and the last two rows showed some physical damage. 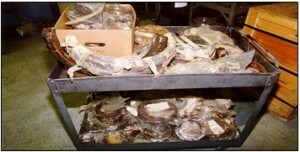 All of this was restored by straightening and dressing. 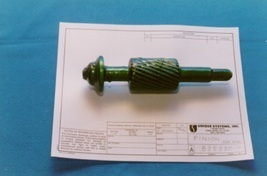 The parts for the governor end were re-engineered and new parts made to equal or surpass the quality standards specified by the OEM……and then assembled on the rotor shaft. 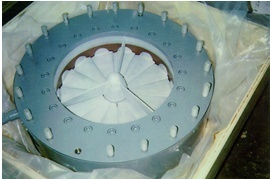 A new coupling was installed and the rotor assembly was dynamically balanced and made ready for shipment with documentation showing all conditions and work done before and after. 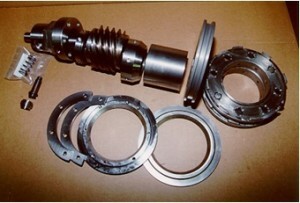 Remove trip body, coupling, sleeves, etc. 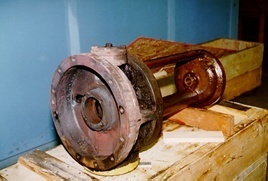 Certain default and very costly penalties faced this customer if two Demag® inlet guide vane assemblies were not delivered within 24 weeks vs. 56 weeks quoted by the OEM. 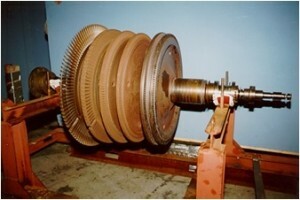 Metric interchangeability was essential. 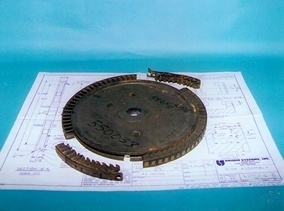 After receiving a used assembly on loan from a friendly end-user, drawings were made of the cast iron housing, then the vanes & stator assemblies, in that order to satisfy the lead time to have patterns and castings made, followed with the details of both the planetary & fourteen spur gears, covers, metric seals flown in from Germany, etc. attempted weld repair and improper seats! scored and torn journals……let Unique Systems return it to you looking like this! 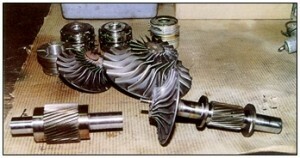 When the impeller broke loose on an Elliott Turbo Oil Pump, the rotor over-sped and blew apart.The end-user, a major oil refinery, had some doubt that Unique Systems could reverse-engineer this broken assembly into a functional wheel again. 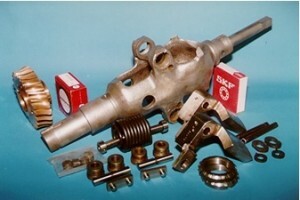 Unique Systems began manufacturing steam ejector components & assemblies for the Elliott Company in 1973. 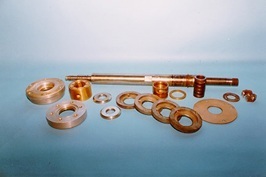 By 1985 we acquired their vacuum equipment product lines, including ejectors, condensers, deaerating feedwater heaters, scrub coolers, grease extractors and other ancillary products. 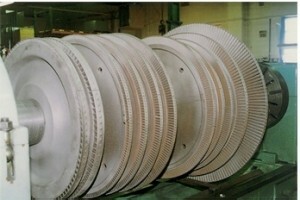 We have over 100 years of accumulated knowledge and expertise in process vacuum applications. 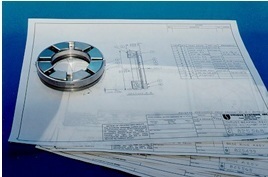 Our files contain engineering & test data, technical & design specifications, microfilm and original mechanical drawings for all former Elliott® vacuum equipment. 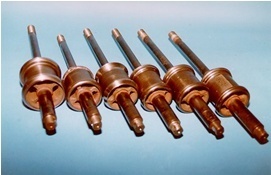 Steam ejectors are the most popular choice for Gland Seal Vacuum Systems for removing air and steam from steam turbine shaft seals. 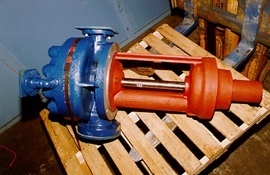 Our Type P3136 Series ejector is ideal for small turbines where flow quantities of steam and air from the shaft seal bleed-off are relatively low. 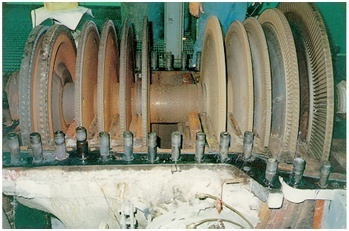 For larger turbines, it is usually advantageous to use a surface-type (shell & tube) pre-condenser to reduce load to the ejector; and, to recover heat by using condensate in the pre-condenser. 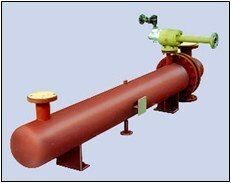 The ejector used with the pre-condenser can be the P3136 or Type E Series to reduce steam usage. 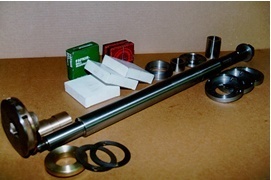 Unique Systems has a great deal of experience in designing and constructing these systems, which makes us the ideal choice to fill your Gland Seal Vacuum System needs. 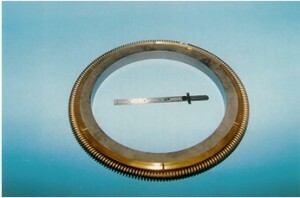 Please visit our website, www.uniquesystems.com, and refer to Bulletin # PVS-80021011-TGS Turbine Gland Seal Systems – Engineering Data. We trust this information has been both helpful and informative. Reverse-engineering is a highly specialized field. 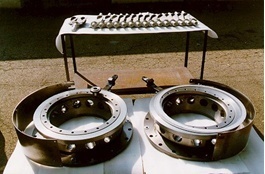 It should never be attempted by any company or individual who does not have a comprehensive understanding of functions, pressures, temperatures, proper selection of materials, heat-treating, finishing, tolerances or other requirements for the proper design of a part or assembly. 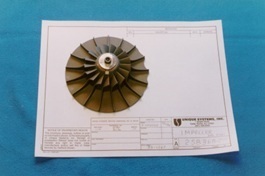 When inquiring about parts for reverse-engineering, always specify part number, equipment make and model. You inquiries will receive our prompt attention. 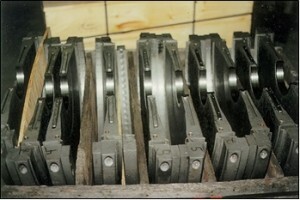 In addition, Unique Systems maintains an extensive spare parts inventory. 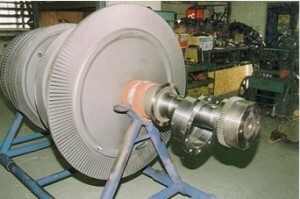 We also purchase new & used parts for all rotating equipment. 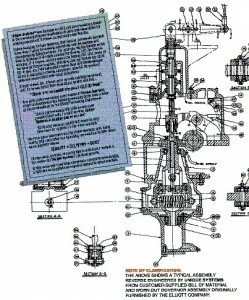 NOTICE OF PROPRIETARY RIGHTS: This brochure, drawings and/or information shown, is the sole property of Unique Systems, Inc. Receipt or possession thereof does not confer of transfer any right to make, copy, manufacture and/or sell this or these devices by method shown. The information contained in this document is subject to change at any time and without prior notice. No warranties or guarantees of any kind are made or implied by any of the content of this document. 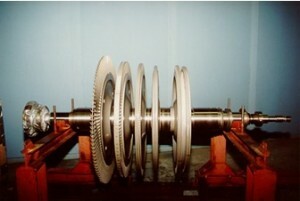 UNIQUE SYSTEMS and its logo are registered trademarks of Unique Systems, Inc.
ELLIOTT and PAP Plant Air-Package are registered trademarks of the Elliott Group. All other trademarks & trade names are the property of their respective owners. 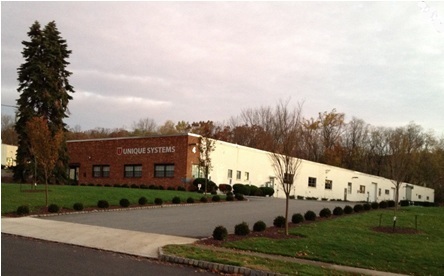 © 2013 Unique Systems, Inc.